In our household we’re forever buying healthy cookies and baked goods and at least half the time, we take one bite, spit it out and the rest of the package sits in the cupboard until it draws ants and I throw it away. This time though I decided that we weren’t going to throw out any more food, just because we didn’t like it. So we started experimenting and came up with quite a few really quick and easy microwave dessert recipes that the kids can make on their own. In fact, once they saw what I was doing they began experimenting and came up with some of their own recipes. Warning: these aren’t all perfect UnDiet recipes since some of them use leftover Halloween and Easter candies. Place milk and tapioca in a large glass bowl or measuring cup. Microwave for 3 minutes, stir and continue microwaving and stirring in 1 minute increments until tapioca is translucent, about 3 more minutes. Stir in chocolate chips and salt. Let cool until still hot but cool enough to taste. Taste and add optional sugar if needed. Break up baked goods and use to line the bottom of a large container. Pour pudding over baked goods. Refrigerate until cool enough to eat. Carefully tir before serving if needed to break up the tapioca but being careful not to disturb the bottom crust. Next time you have a package of granola bars that nobody will eat, make up a batch of this pudding cake and you may even buy more granola bars, just so you can make this again. Place granola bars in an 8″ x 8″ pan. In a large bowl (or even better a large measuring cup) whisk pudding mix into the milk. A measuring cup works great for kids because it has a handle that makes is easy for them to move the pudding mixture into and out of the microwave. Microwave about 8 minutes totial or until the mixture comes to a boil. You’ll need to take it out of the microwave every 2 minutes to stir. 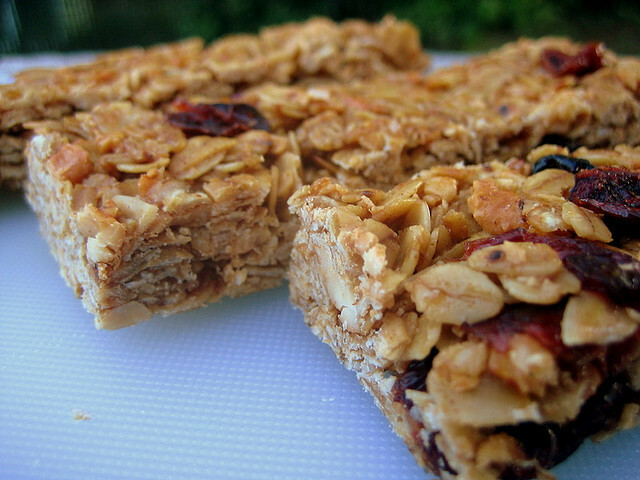 Once it comes to a boil, remove from the microwave, stir and pour over granola bars. Refrigerate overnight or for at least 6 hours. I’m always trying different brands of instant coffee, trying to find one that I actually like. What ends up happening is that I have a cupboard full of instant coffee that is only suitable for baking or adding to smoothies. You can also use this recipe to use some of the chocolate or marshmallow candies left over from Halloween or Easter. Be sure that the mug you’re using isn’t one of those that gets hot in the microwave. I’ve burned my fingers on many such a mug so many times that I took them from my kitchen cupboard and now use them in my bathroom to hold makeup brushes, q-tips, cotton balls and such things. In a mug, stir together the dry ingredients. Stir in the oil and coffee, then the the chopped chocolate or marshmallow, if you’re using them. Microwave on high for one minute, but check it after 30 seconds. It’s done when it’s springy on top but still a bit gooey. Let cool until warm and then dig in. This one is so decadent and so not an UnDiet recipe, but the kids will love it and I feel good because at least half of it is a whole grain sugar free cereal. Lightly oil a glass pie plate or microwavable shallow dish. Spread your cereal or baked goods over the bottom of the plate. Evenly arrange the candy over the “crust”. Microwave for 1 minute. Use a spatula to gently stir the candy without disturbing the crust. Microwave for another 30 seconds to 1 minute. If needed gently stir the candy layer again. If all of the candy has melted then remove from microwave. If needed though continue microwaving in 30 second increments until the candy has melted. Remove from microwave and allow to cool until warm. Cut into slices and serve or just gather around and dig in with spoons.